Some time ago when I was going through a difficult moment in my life I was fortunate to find myself in New Mexico in the presence of a Jungian analyst who was also a Huichol Shaman. He asked me if I had heard of the Lindisfarne Gospels. I hadn’t. He walked over to his extensive book collection and shuffled through books as I lost myself in thoughts, staring blankly out his log cabin window at a panorama of mountains I couldn’t see. “Ah ha!” He cried, shocking me back into my body. “Here it is!” He opened a book to a picture. It was of a mess of big and small lines of gold and blue and grotesque heads of creatures woven into and around each other with no apparent composition or focus. “Chaos,” I said while trying to make sense of what I was seeing and how it was relevant to me being lost and confused in life. I looked at him for an answer. He turned the page and showed me another picture. 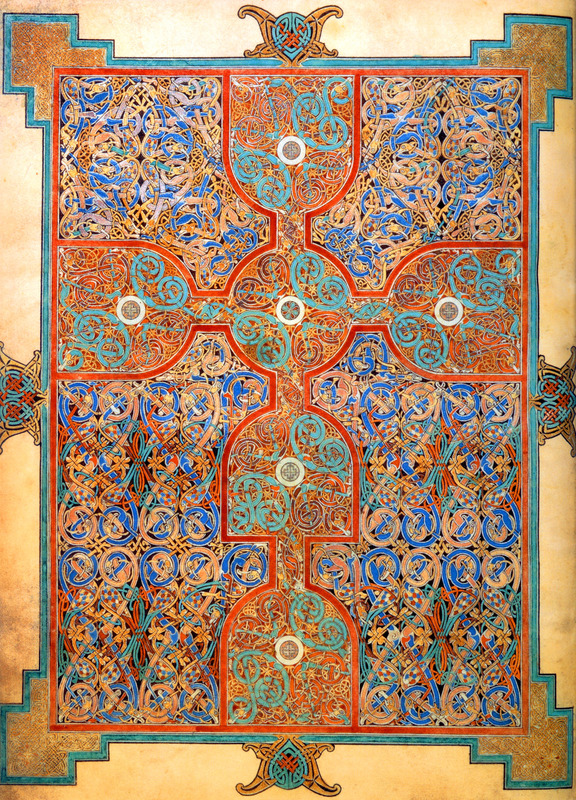 It was a gorgeous illuminated manuscript of a cross. “Wow, that’s stunning,” I said. I raised an eyebrow in doubt, and took the book from his hands. As I focused in closer, analyzing the details that made up the cross, I began to see the chaos of lines and grotesque creature heads that I had seen in the first image. I looked up surprised and a little embarrassed. “You see,” he said. “Even though our life doesn’t make sense and seems chaotic in the moment, there is order. He went on to tell me about myths of the self and how the purpose of life would be defeated if we already knew what the “greater picture” was. “It is a journey, and the point of the journey is not to have completed your life adequately or in the ‘right way,’ but rather to have participated in life while on your journey. 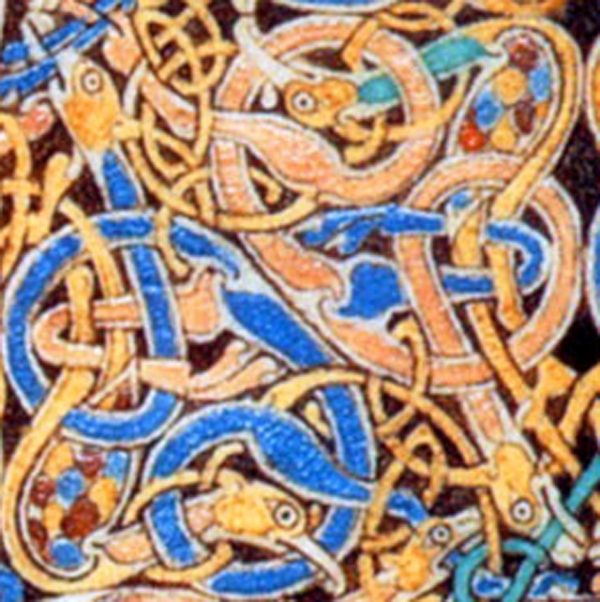 Since then I have used the image of the Lindisfarne Gospels to help me remember that the chaos in my life has meaning. I just always have to trust that time will give me insight and the insight will show me the sense and order that was always present in the chaos, even when I didn’t know it.